Take a trip down Memory Lane, aka Avenue A, in our latest historical edition. 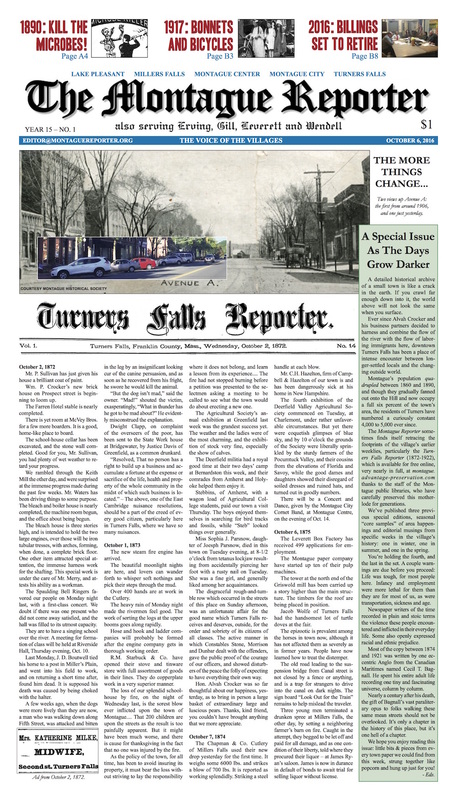 In it you’ll find little bits & pieces from every town paper we could find from this week dating back to 1872, strung together like popcorn and hung up just for you! 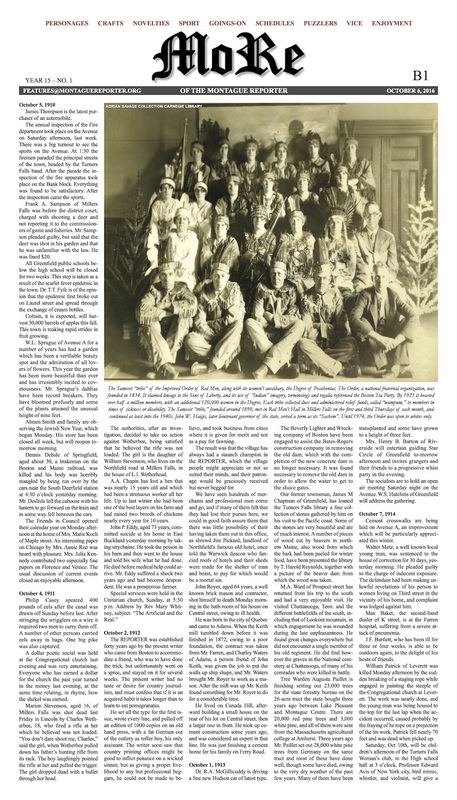 The Montague Reporter sometimes finds itself retracing the footprints of the village’s earlier weeklies thanks to the staff of the Montague public libraries, who have carefully preserved this motherlode for generations. Pick up paper copy at your favorite newsstand, or point your browser to montague.advantage-preservation.com.